This week for ACHE Tuesday, we bring you a piece written by Dr. Lee B. Peterlin on post-traumatic stress disorder and Migraine. This is an important topic that doesn't come up often enough. PTSD prevalence rates have been shown to be increased in those with migraine in multiple cohorts.2,3 In one general population study, the 12-month PTSD prevalence rate in migraineurs was 14.3%, and the lifetime PTSD prevalence rate was 21.5% in migraineurs as compared to 2.1% (12-month) and 4.5% (lifetime) in those without headache disorders.3 Further, the 12-month and lifetime odds of PTSD in migraineurs was noted to be greater or comparable to the odds for either major depression or generalized anxiety in episodic migraineurs, (Figure 1). 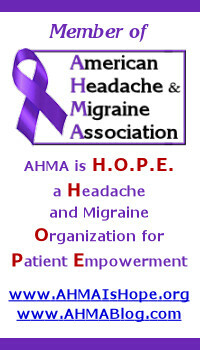 Notably, PTSD symptoms preceded migraine symptoms in almost 70% of those with migraine and PTSD." This article is well worth taking time to read. Please continue reading Post-Traumatic Stress Disorder (PTSD) and Migraine on the ACHE site. Make a difference... Donate to the 36 Million Migraine Campaign!